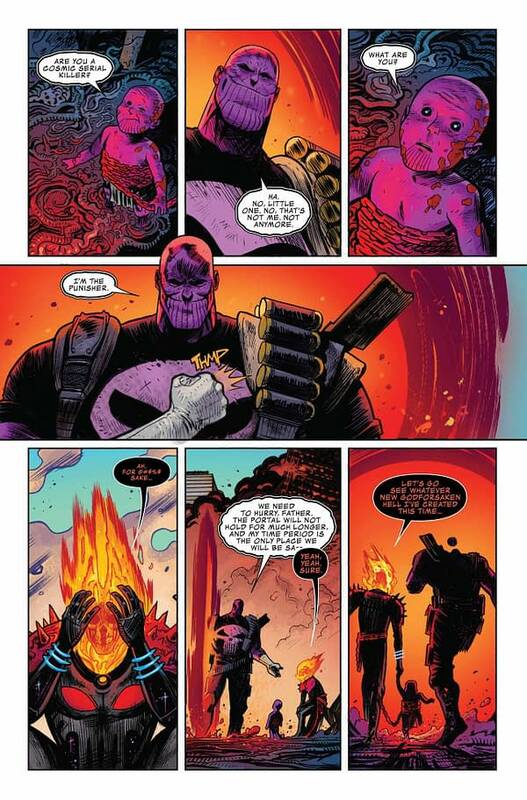 In the last issue of Cosmic Ghost Rider, we saw the new version of Thanos, as Cosmic Ghost Rider had messed around with his past. 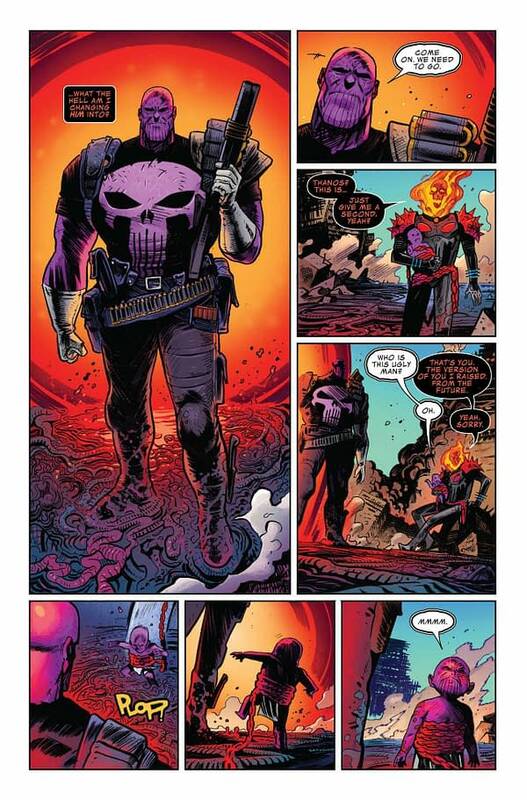 And, just as the Cosmic Ghost Rider was originally Frank Castle, the Punisher, transformed first by Mephisto and then by Galactus, so Thanos was transformed. 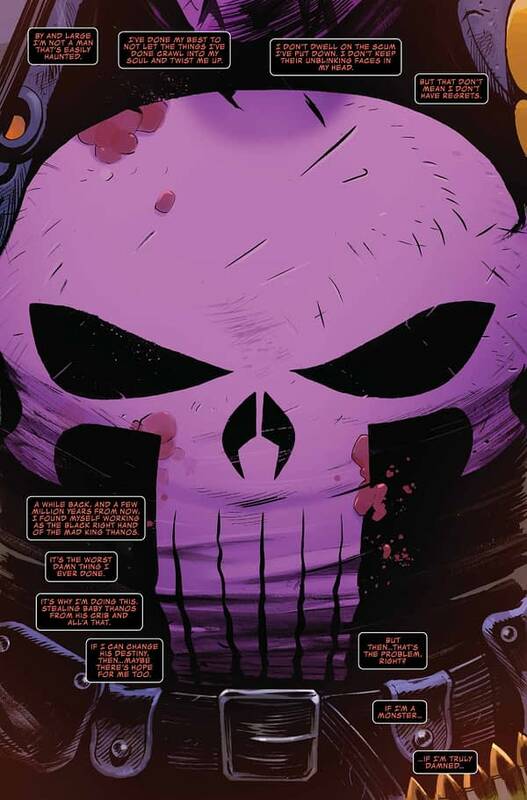 Into The Punisher. 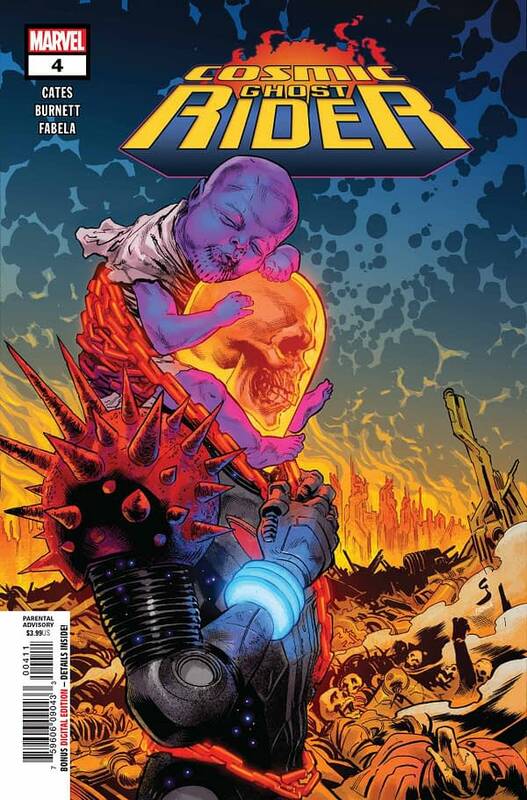 And, according to future Cable, Jugerduck and the rest a far worse threat than the genocidal Thanos ever was. The nature of that threat is not clear. 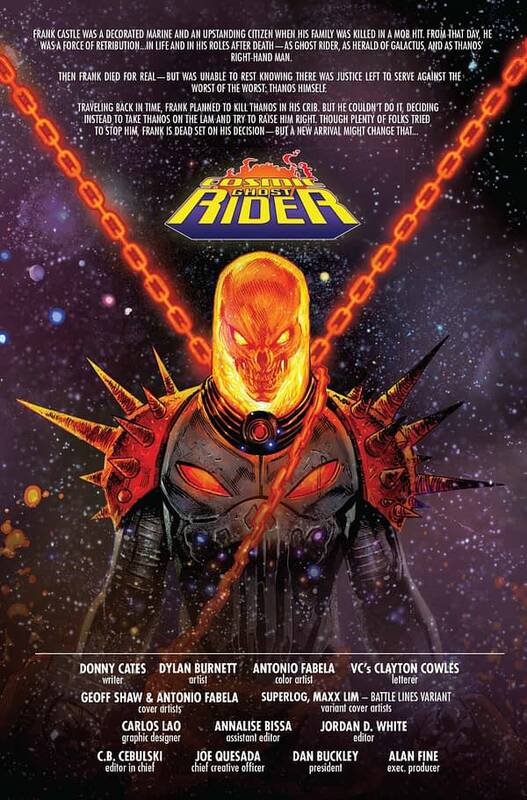 But in this week’s Cosmic Ghost Rider #4, he doesn’t seem best pleased with it…. 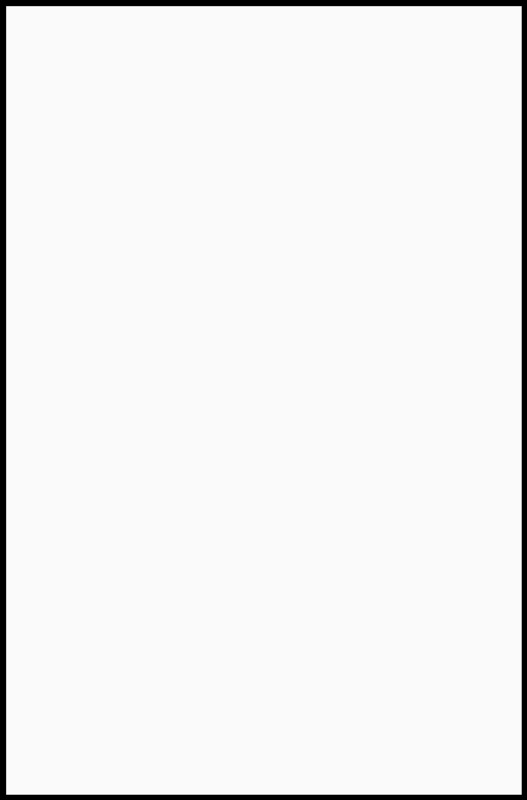 with his skull in his hands and sweary on his non-existent lips.